On a sheet pan distribute the shredded coconut and toast in the oven until golden, about 5 minutes. Remove from the oven and set aside to cool. 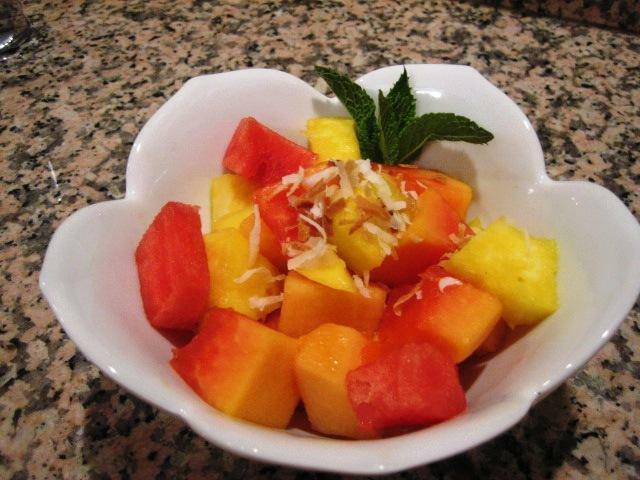 In a large bowl, combine the cubed watermelon, pineapple, papaya, cantaloupe and mango. Cover and refrigerate until ready to serve or at least 2 hours. To serve, sprinkle with the toasted coconut and garnish with the mint leaves.